Download the POC files and save it to the hard-disk. 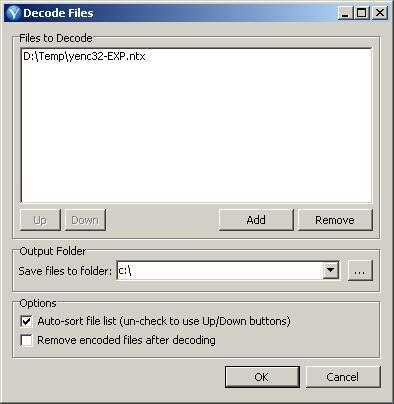 Using yEnc32, select one of the POC file to decode. Click on the "OK" button to begin decoding. Wait for the "Could not create output file: c:\AAAABBBB..." error dialog box to popup. Close the error dialog box and try to click yEnc32's "File" menu, or try to close the yEnc32 window. Successful exploit will run calc.exe or crash yEnc32.